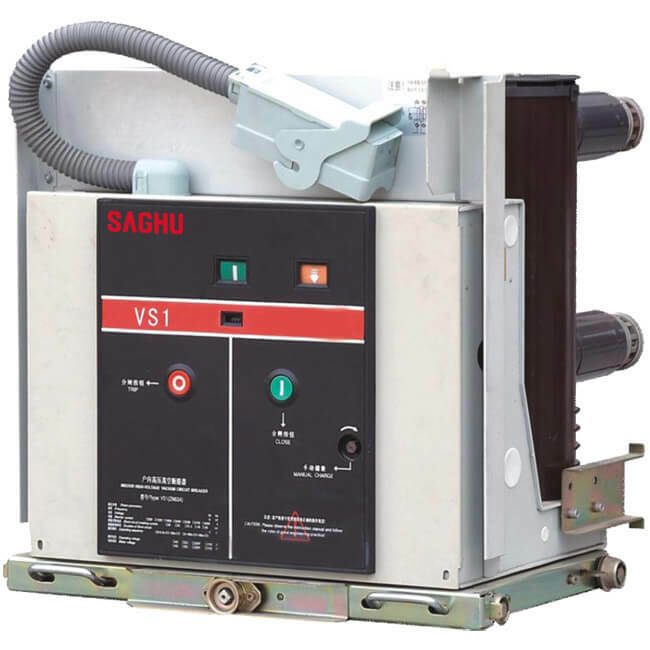 ZN63 (VS1) -12 series indoor vacuum circuit breaker is a three-phase AC 50Hz, rated voltage of 12kV indoor switch gear, control and protection for industrial and mining enterprises, power plants and substations, electrical facilities, and for frequent operation place. Adopting VET operating mechanism and circuit breaker integrated , design can be used as a fixed installation unit can also be equipped with special advance mechanism, the composition of handcart unit used. Some of the main circuit can use the whole solid seal post, in order to achieve smaller circuit breakers, high reliability, maintenance-free, can be equipped with KYN28A-12 (GZS) and other handcart switch cabinet in the home can also be used with fixed XGN switch gear.